In a nationally televised speech, President Donald Trump announced his decision to raise gas prices. Most analysts missed that part of the speech. They only heard the part about increasing the number of troops in Afghanistan. Trump did announce that the military presence in the country will increase. He set a goal of winning the war, which will require troops to remain in place for years. That means there will be an increased flow of personnel and supplies in and out of the theater of operations. This decision reaches far beyond the military. Napoleon probably never said “An army marches on its stomach,” but he gets credit for that insight. However, it’s only part of the story. In the 21st century, an army needs more than food and ammunition. Modern armies need vast amounts of oil to win. Even in peacetime, armies need oil. The Department of Defense spent nearly $12 billion buying more than 99 million barrels of petroleum last year. Sending troops to Afghanistan means those amounts will increase next year. Getting troops to Afghanistan requires using large cargo planes. These are long flights that require in-flight refueling. That means using even more fuel. Ships will transport vehicles and other large equipment. Trucks will transport supplies and people to remote locations in the country. Initial reports tell us about 3,500 combat troops are deploying. That sounds small. But each warfighter needs additional support. This includes cooks and medics like armies always needed. In a modern army, it includes personnel to fix advanced electronics equipment, and network engineers to ensure connectivity in mountain passes. The U.S. Army estimates about 75% of its personnel support combat troops. For 3,500 combat troops, the Army might move 14,000 personnel. This accounts for 10,500 support troops in theater. The Air Force and Navy need even more troops to support the operation. Each person in a combat theater needs food and other supplies. This is all flown in and trucked to remote locations. One study found that it takes about 16 gallons of fuel per day to support one combat troop. 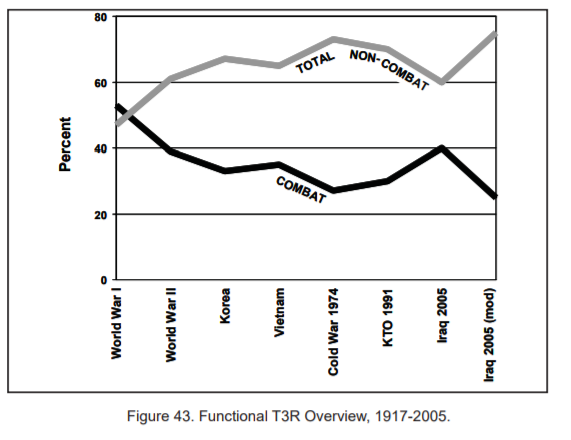 In World War II, the U.S. consumed about a gallon of fuel per soldier per day. 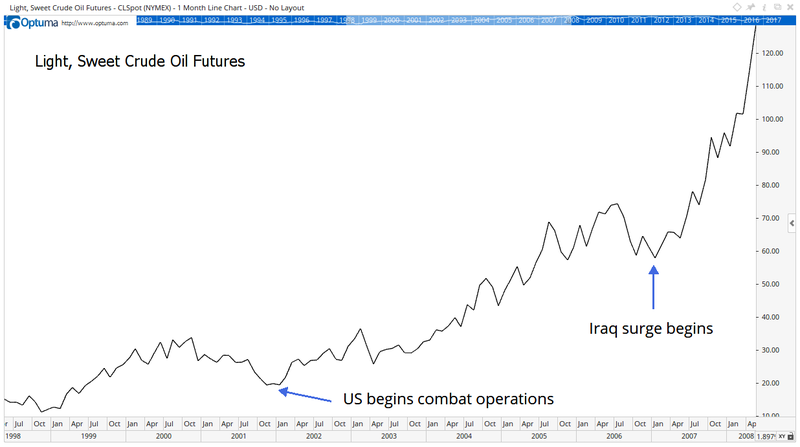 This explains why, in the past, military operations coincided with uptrends in the price of oil. This time is no different. A deployment of thousands of troops will require more oil. This is finally good news for OPEC. For the past few years, there’s been more supply than demand for oil. But the amount of excess supply was already falling. Trump’s decision will narrow the gap further. It won’t be long before we see the result of this decision at the gas pump.